Work is sometimes a battle. Google’s latest Chrome experiment: play here. 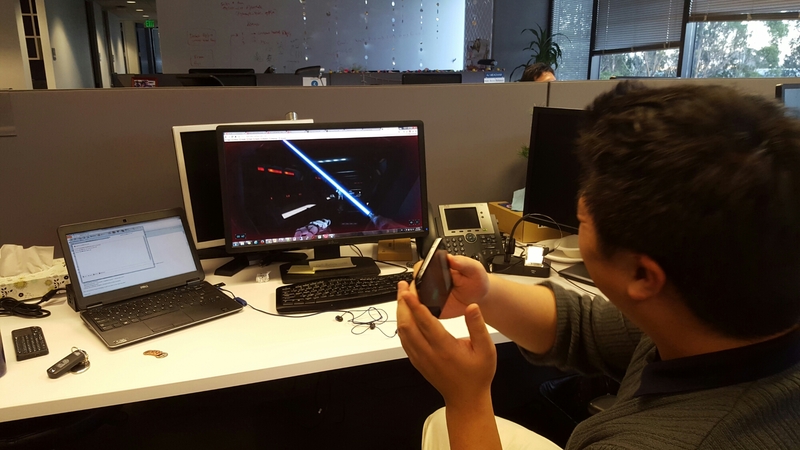 If you haven’t tried any of these before, your phone acts as a lightsaber controller, with syncing taking place between the Chrome app on your phone, and the Chrome browser on your desktop computer.